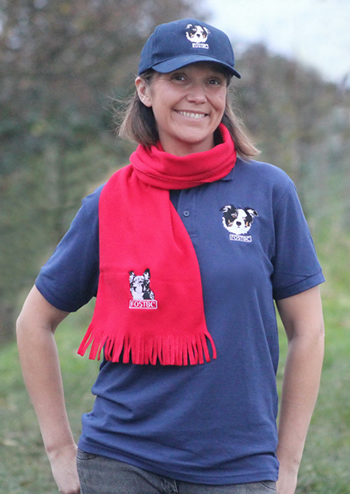 We have a great range of clothing plus hats, scarves and bags, calendars, Christmas cards, car stickers and gifts that you can choose which dog you would like for your FOSTBC logo, you can have Digby, Tess, Hope or Pip – or you can buy several items all with different logos. We are grateful to G D B Manufacturing who are providing this clothing service for us to help raise money for our rescue. Click the link to take you to our clothing site where there are two pages for you to browse through. Where applicable choose your size.